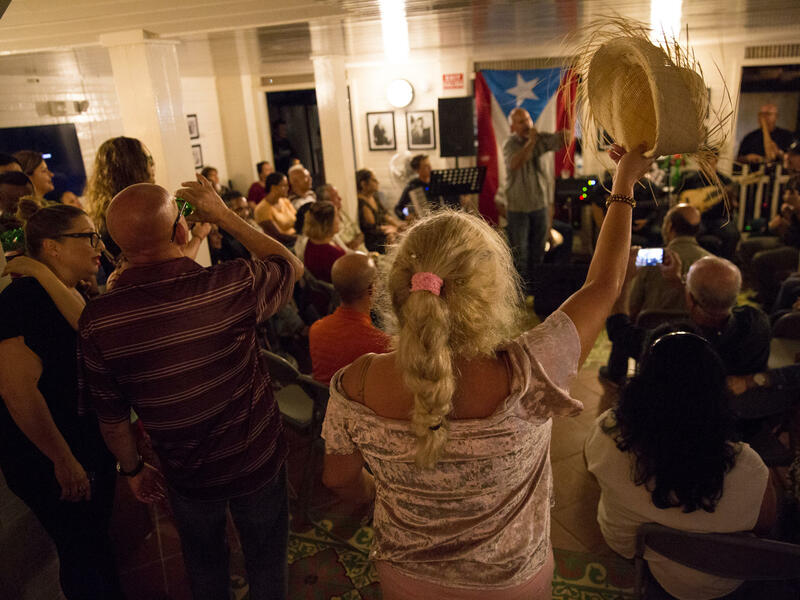 At the Casa Histórica de la Música Cayeyana — a non-profit house of music in Cayey — people come together on the weekends to sing, dance, and recite poetry. The free concerts at the Casa Histórica de la Música Cayeyana have had a special resonance after Hurricane Maria, as attendees find respite there on the weekends amid the recovery effort. She went to Connecticut, saw her family and showed them that she was, in fact, okay. Now, after her return to Puerto Rico, she is at a crossroads. Rodriguez works from home, but she can't work without electricity and Internet. She has two choices, equally distressing: She can stay and lose her job, or she can choose to leave. "I think that, at the end of December, I have to decide, if the situation in Puerto Rico doesn't get normal," Rodriguez said. It's all a lot to think about. Which is why, sometimes, Rodriguez tries not to think about it at all. So, many Friday and Saturday nights she spends her time dancing and socializing at the Casa Historica de la Música Cayeyana. It's a non-profit organization in the heart of Cayey that celebrates the history of the town's music and musicians. Many Puerto Ricans still live without electricity and basic services three months after Hurricane Maria. Some are making time to sing, dance, and celebrate at places like this. The house hosts free concerts for people like Rodriguez to come and, as she said, breathe. The concerts aren't new. They've been happening for about a year, but now they seem to have particularly special resonance. "Seeing your friend after Maria, it's like seeing them after a long trip," Rodriguez said. "And, in Puerto Rico, everything we celebrate with music. Even funerals." Andrés Yambó is one of the founders of the music house. He said they had to pack up and then unload everything twice this fall – once for Hurricane Irma, and again for Maria. 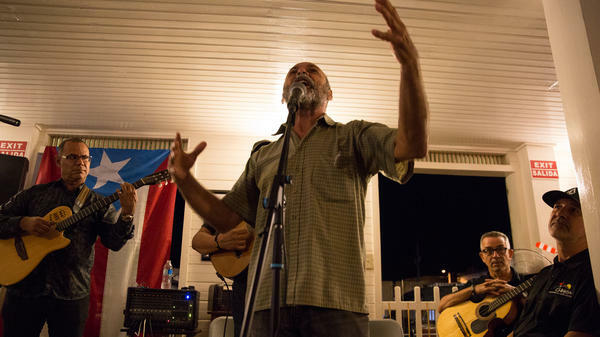 Then, a week after the hurricane, musicians and friends came together here to sing by candlelight, Yambó said, likening life after Maria to what happens when you lose a family member. "You carry [the trauma] with you," he said. "But you don't let the loss get in your way of what you have to do in your life." Yambó plays an instrument called the cuatro, but his real job is working nights as a radiology technician. The singer who started the night off is an accountant. Didi Melendez is a regular audience member. She spent the night dancing in front of her chair. Maria took the roof off her house, and she said friends in the diaspora — Chicago, Connecticut, New York — helped her rebuild it. Melendez comes here because, like Yambó, she said Puerto Ricans can't only live in sadness. People need music, she said. They need happiness, and they need to feel alive. Copyright 2017 WNPR News. To see more, visit WNPR News.